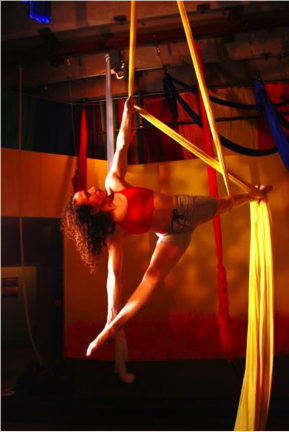 Sumya Anani’s twenty year career as a professional athlete, college fitness professor, aerialist, and yoga and fitness instructor culminated in her 2010 founding of Learning2Fly, a community fitness and spiritual center for people of all ages in the Kansas City area. Her special interest in children has inspired innovative youth programs and parent-and-child activities at the center. She is an accomplished aerialist and has incorporated the fun and flair of circus arts into her work. From February 2014 – October 2015, she completed three trainings in the training program founded and developed by Louise Hay. She is now a Heal Your Life® Workshop Leader, LifeCoach, and Business Success Coach. These training programs are the only training programs licensed by Hay House and approved by Louise Hay. These transformational workshops empower people to love themselves more fully and change their lives. Sumya is a massage therapist, with an emphasis on sports massage. She is an e-ryt500 hour yoga teacher. 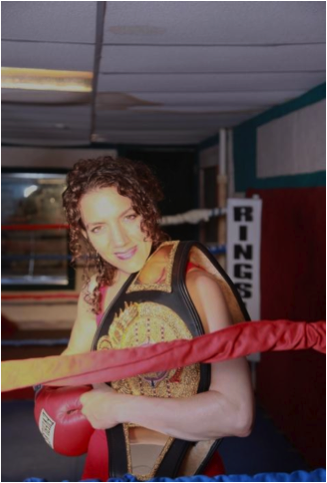 Sumya finds balance between the yang of boxing and the yin of the softer physical and spiritual arts. She has been exploring and teaching the Chakras, dormant potentials and how to activate them, for over ten years. Through her study of the Chakras, Sumya has developed and articulated her own concept of the seven key elements of health. Her “7 Habits of Health” are embodied in the Chakra-based program which guides her teachings. They are the foundation for her teachings. Sumya is a well-known personality and fitness expert in the Kansas City area and beyond. She is regularly featured on local and national TV news and current events programs (see Media page, Sumya.com). She is a sought after speaker and has hosted health and fitness oriented radio shows. She contributes to formal educational processes as an Adjunct Professor of Physical Education at a Kansas City area community college. She conducts regular youth camps at Learning2Fly. Her passion for guiding people to develop better habits of health has inspired her to write articles and columns for local, national and international publications. Articles featuring her seven habits of health have appeared in The Campus Ledger, Yoga Chicago, Yoga Magazine US and Yoga Magazine UK. Sumya’s creative approach motivates people of all ages and physical abilities along sound paths to physical, mental and spiritual health. She radiates inspiration and enthusiasm in her classes and workshops. Sumya’s unique perspective on health has inspired Rainbow Butterfly & Friends, A Chakra Circus of Health. This series of children’s books and related materials are designed to entertain, educate and motivate young people and light their way along paths to better overall health.